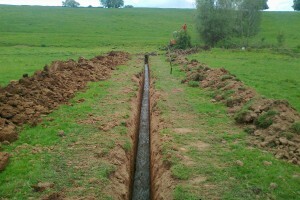 Here we drained a wet area in a grass field to bring it back into production once again. A trench was excavated with adequate fall using a grade laser level along with machine control reciever mounted on the excavator boom. 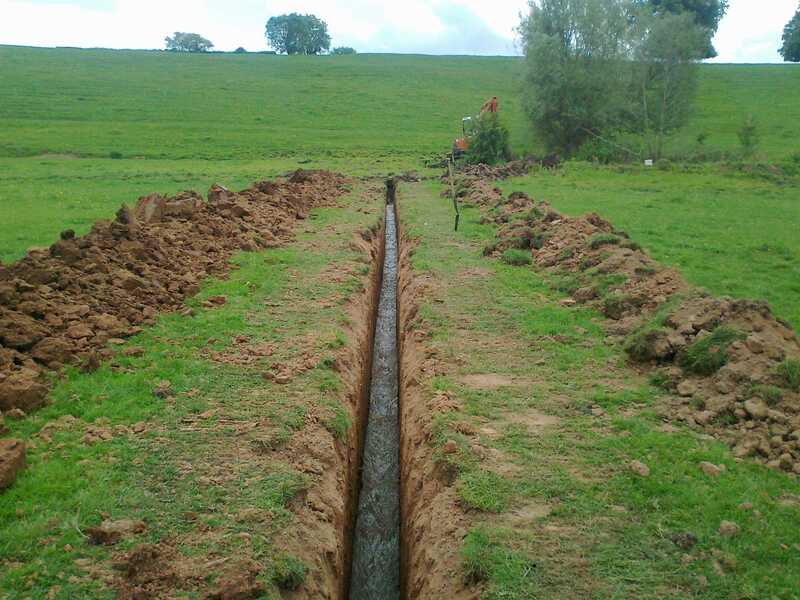 Once the exact source of the spring water was located, a perforated land drain pipe was layed along the trench and it was then back filled.